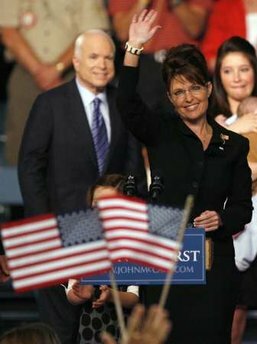 A few minutes ago John McCain announced that Sarah Palin who has been Governor of Alaska for two years will be his running mate. Palin seems to be a very charming woman. My first honest thought was ‘they don’t look comfortable together’. My second though was how she is going to adjust to the mainland; in particular Washington, D.C.
My third thought was does Palin have the knowledge necessary to whisper corrections into McCain’s ears when he makes his gaffes like Lieberman does? Does Palin have National Security experience? How educated is Palin on the issues? Does Palin have Foreign Relations experience? Is Palin just a ‘pawn’ to get the women vote? (That’s a redundant question). Does McCain think that the female vote is transferable from Hillary to ANY woman? By selecting Palin, McCain proves that he is putting his ambitions ahead of those of our country. 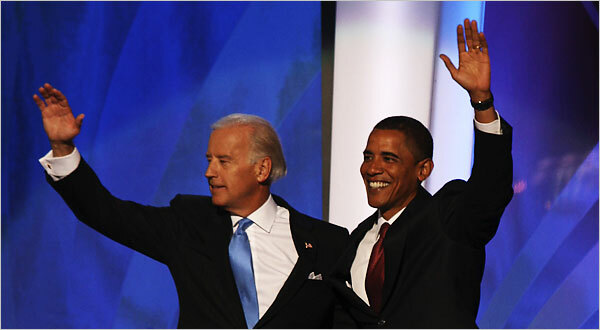 He has stated both recently and previously, that he would chose a running mate that shared his views and principles. She certainly fits his requirements. What he did NOT do was put the nation’s interests first – he selected an individual that is not qualified to succeed him in the event of an unfortunate tragedy. Is this sound mature thinking and judgment? This is all about me first. 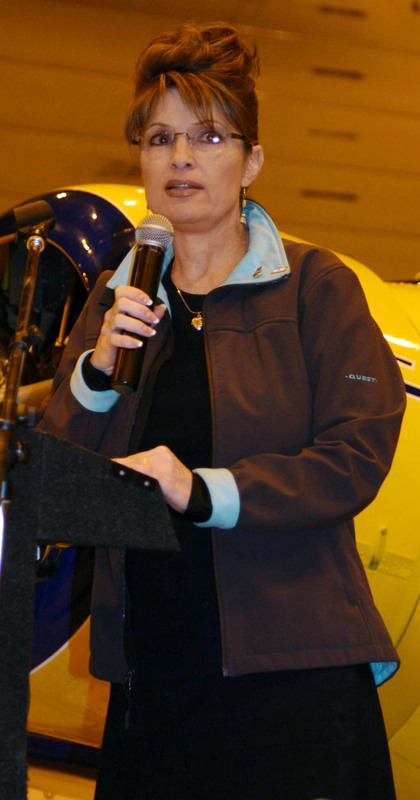 Before becoming Governor of Alaska Palin was Mayor of Wasilla, a town of about 8,000. As someone who has visited and LOVEs Alaska, I can tell you that this will be a huge transition from Alaska to the lower 48. Every town in Alaska is real small town rural living even in its capital Anchorage – where everyone knows everyone. Anchorage has a population of approximately 270,000 people and that is about 50% of the population of the entire state of Alaska which is about half of a million people. So Palin will be going from governing Alaska that has 500,000 people to co-governing America which has 301 million people. The state of Illinois has 13 million people; the state of Delaware has 1 million people. What a promotion! Living or working in a city like New York you see that much people in 5 blocks. In Los Angeles you see that much people on Robertson Boulevard at lunch time. In Miami you see that much people lazing around South Beach at any given minute – day or night. In D.C. you see that much people walking around Georgetown at lunch time. John McCain has had 4 bouts with cancer – is Palin prepared to be President if something happens to McCain?